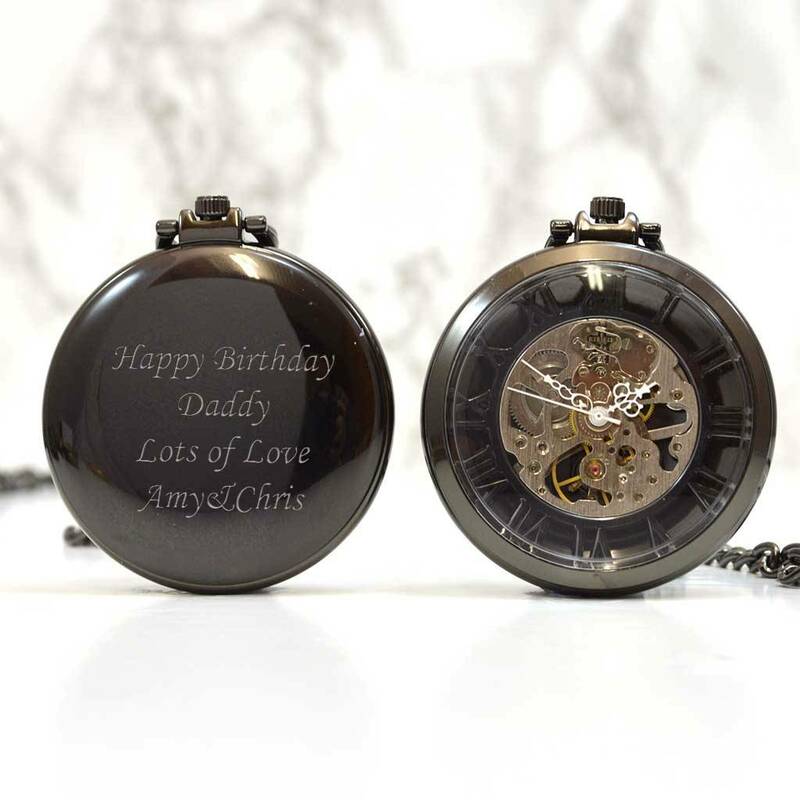 A classic black engraved pocket watch with open dial face and room for your personal message engraved on the back. 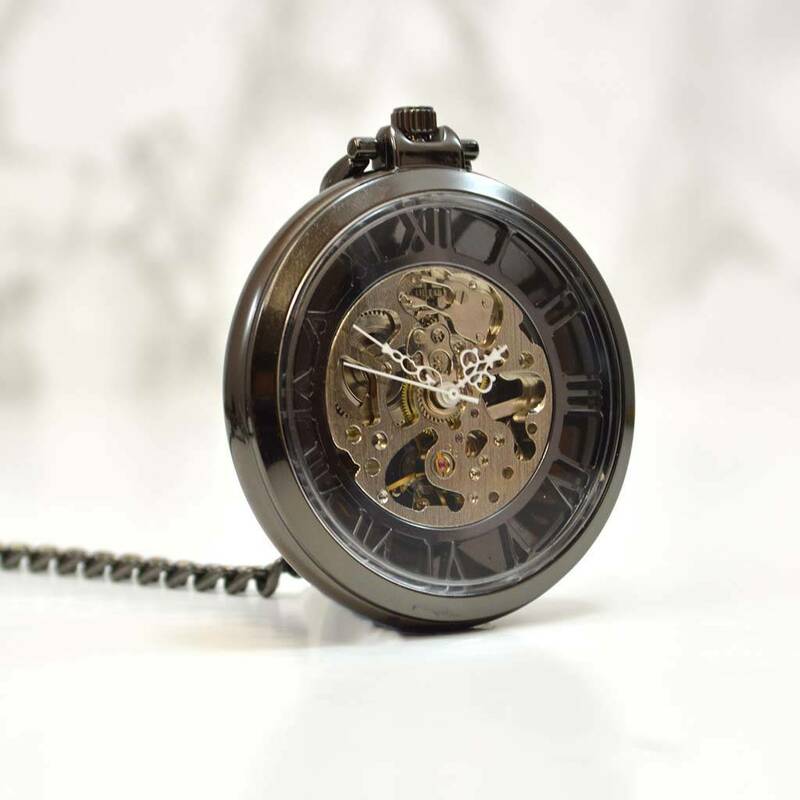 This gun metal black mechanical personalised pocket watch has an open face with a unique cut out dial that shows the mechanical workings of your watch also the dial is cut away from the Roman numeral markers giving a very interesting effect. You can have your special message engraved on to the back of your watch to make a totally unique gift. 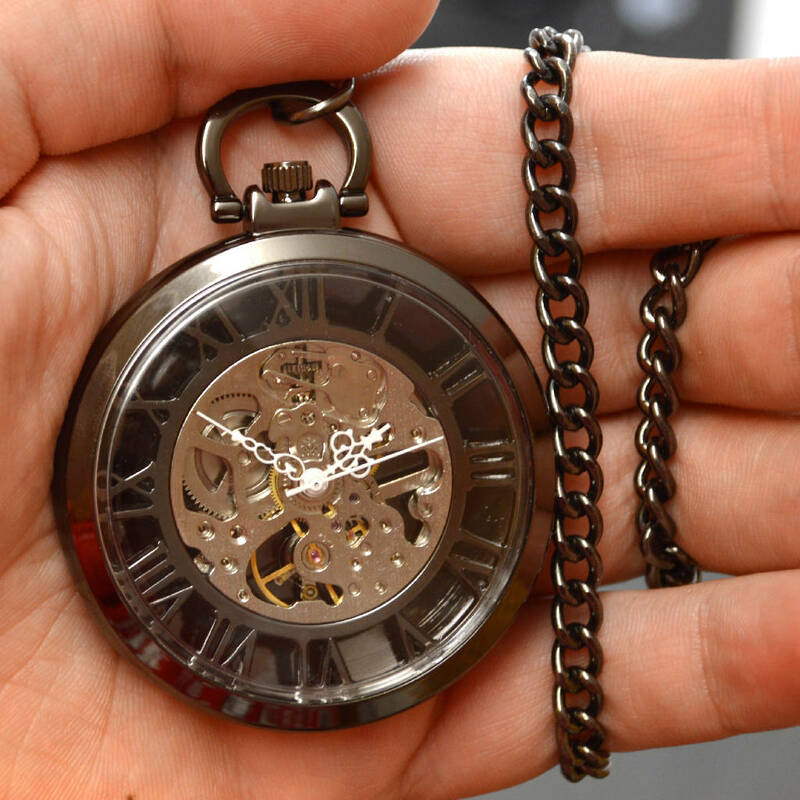 Once engraved your watch gift comes complete with chain and pocket hook and will be sent in a presentation box. All our personalised watch gifts are engraved in our workshop in the UK, so if you have any special requirements or questions contact us and we will try and accommodate your request. Why not also purchase a greetings card for a little extra to tell your gift recipient who the personalised watch gift is from? If you wish to choose this option, a bespoke, full colour, standard A5 sized card, folded in half and printed with your message on one of the inner sides can be chosen in the personalisation fields. The unisex greetings card will be sent in a white envelope with your gift. 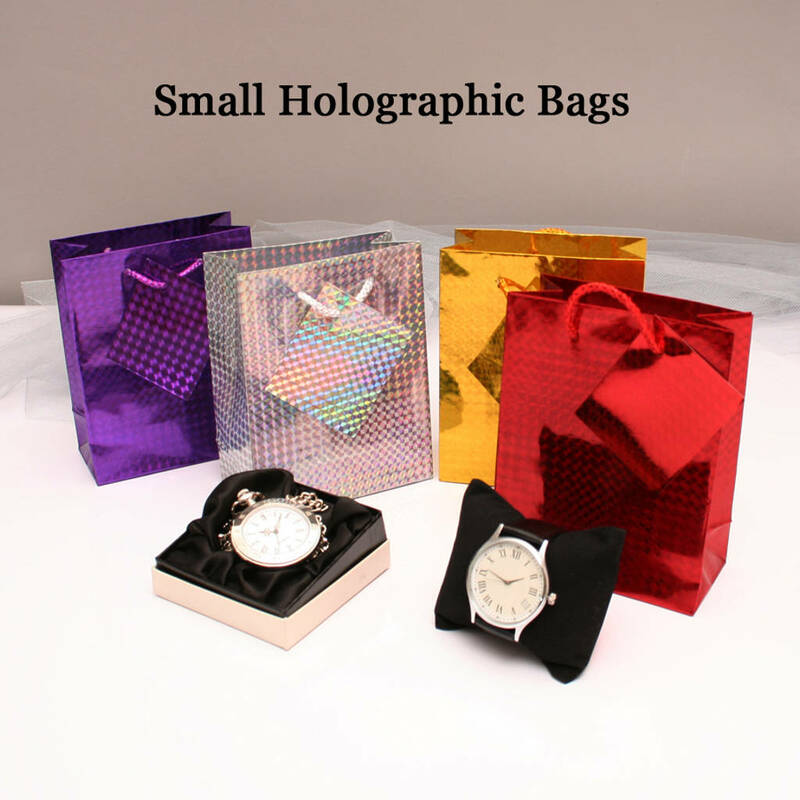 You could also include a holographic gift bag for your engraved pocket watch gift in silver, red gold or purple. If you require this option, then just choose the colour you prefer in the dropdown box provided. Approximately: 360mm chain including clasp and pocket hook.